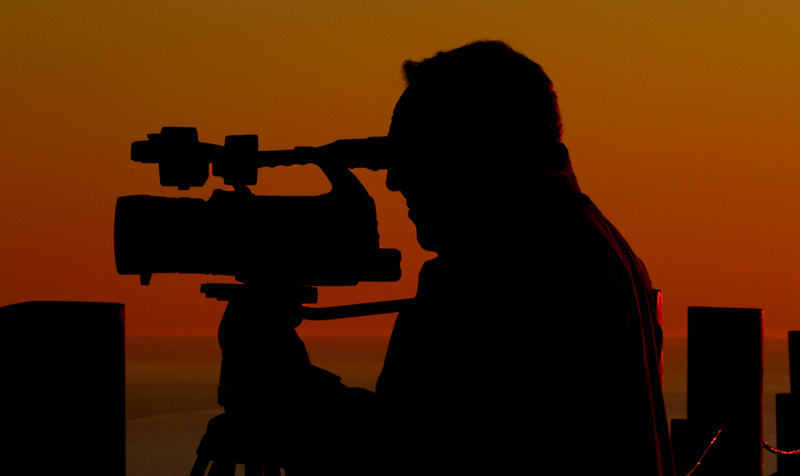 In the last 30 years Gianfranco has produced a wide range of award-winning documentaries for American and European television networks, including PBS, BBC, HBO, National Geographic, Channel 4 (UK), ZDF-German Television and RAI-Italian National Television. Many of his films have focused on issues of migration and immigration, including a 2001 film for PBS and BBC entitled Taxi Dreams about five immigrant taxi drivers in New York City. 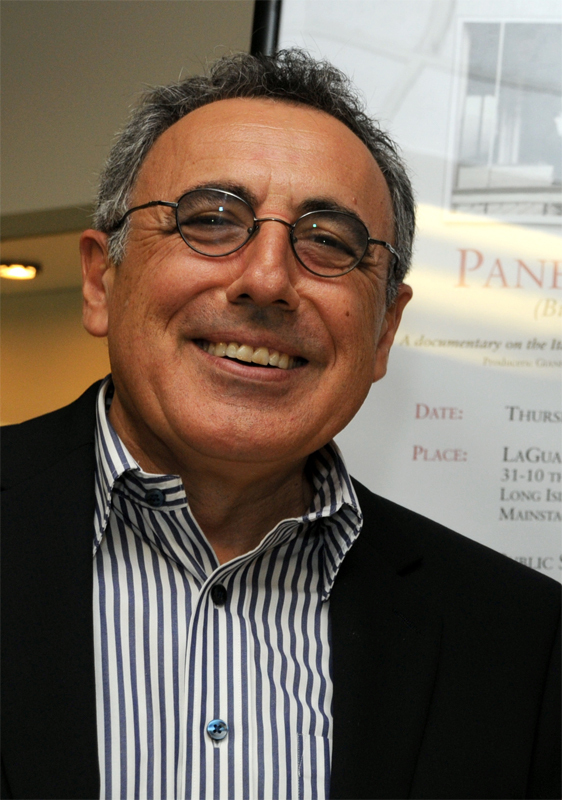 His previous film, produced with his wife Suma Kurien, is Pane Amaro (Bitter Bread) about the Italian immigration to the East Coast of the United States. 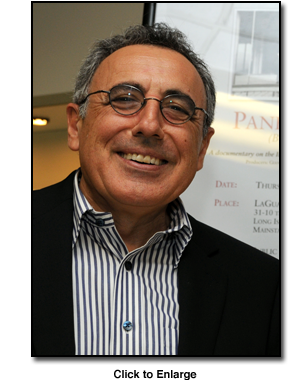 The Italian version of the film was broadcast nationally on Italian television to critical acclaim and an English-language version is used in over 40 US universities as part of courses in sociology, history, film, immigration and Italian studies. an investigation into the social causes of the serial murders of over 200 young Mexican women on the USA-Mexico border, set against the backdrop of the vast economic and social changes brought on by globalization and free trade. Co-directed with Bruno Sorrentino. (BBC, CBC-Canada, Discovery Latin America). a portrayal of the never-before filmed puberty and healing rituals for young women of the Apache Tribe in White River, Arizona. 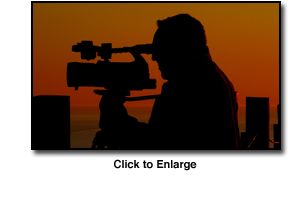 (RTI Television-Italy and numerous international film festivals; used in anthropology and sociology courses at US universities.) Honorable Mention, Margaret Mead Film Festival, New York City, 1994; Honorable Mention, Dance on Camera Festival, New York City, 1994.
two one-hour films exploring the ethical and legal issues surrounding euthanasia through the stories of five of Dr. Jack Kevorkian's patients, and interviews with the reclusive doctor. With director Joanna Head (HBO, Channel 4-UK). Bronze Medal, Columbus International Film Festival, 2000.
a depiction of the re-enactment of the violent encounter between the indigenous Inca population and the Spanish Conquistadores, filmed in a village high in the Peruvian Andes. (RTI Television-Italy; France 3; MDR-Germany; Catalan TV, Telesur TV, Euskal TV- Spain). an examination of life in South Africa, right before the end of the Apartheid regime (National Geographic Educational Films). a portrayal of life in Cuba, following the collapse of the Soviet Union. (National Geographic Educational Films). an investigation of a massacre of unarmed civilian protesters by the Red Army, and the unraveling of the once-mighty Soviet military machine. Filmed in Azerbaijan and Russia. (BBC, PBS). an investigation of the environmental destruction and the resulting health consequences at Chernobyl, the Aral Sea, and Magnitogorsk, in the former USSR. (BBC, PBS). Special Prize, International Film and Television Festival, Monte Carlo, 1990. Suma Kurien is co-producer and co-writer of the current film as she was of Pane Amaro (Bitter Bread). 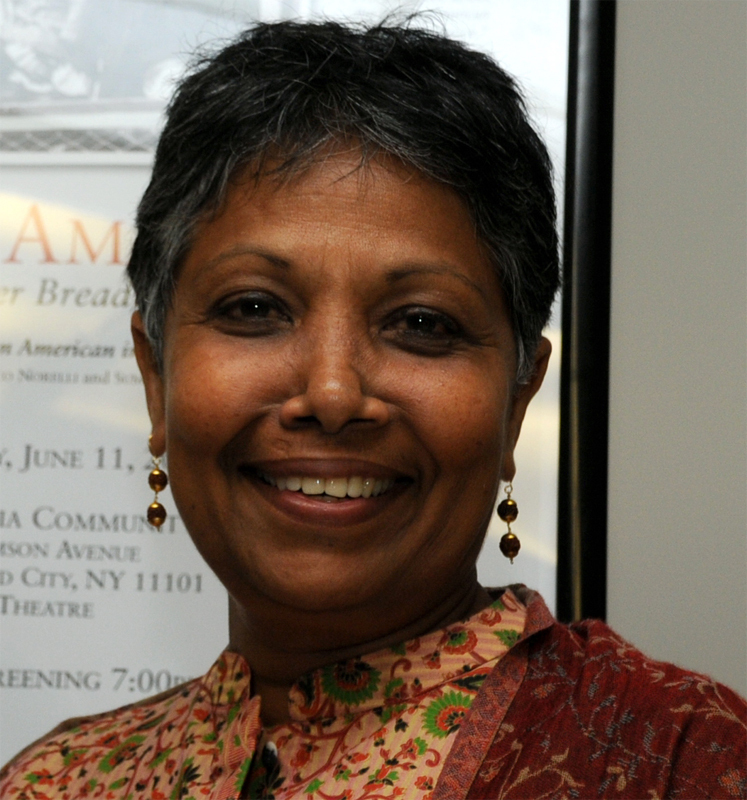 Suma is Professor Emerita of LaGuardia Community College in the City University of New York where she founded and ran the nationally recognized Center for Immigrant Education and Training. 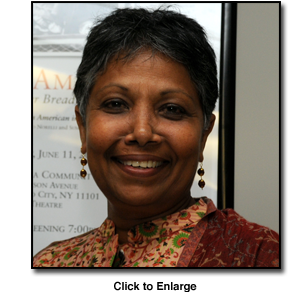 A native of India who grew up in Africa, Suma is a fluent speaker of Italian and has lived and worked in New York for over 30 years. Suma holds a doctorate in education from Columbia University’s Teachers College. Kathryn’s recent projects include "My Brooklyn," on the displacement of residents and businesses in Downtown Brooklyn as a result of NYC re-zoning (Audience Award, Best Documentary, Brooklyn Film Festival); Marco Williams’ "Banished," (PBS) on the expulsion of African-Americans from their homes at the start of the 20th century; "The Mystery of Love" (PBS), "Out of Status," on the deportation of Muslims from the US (Channel 4- UK), "Broadway Legends" (Trio Digital Cable), "The Gun Deadlock" with director Lee Grant (Lifetime Cable), and "War Crimes Against Women" (genocide in the Bosnian War). Other major credits: specials for Bill Moyers Journal (nominated for two Emmys); Series Editor of the ten-hour PBS program, "The American President"; The Cronkite Quarterly; profiles on Gene Hackman, George Lucas, Mary Todd Lincoln and P.T. Barnum (Bravo, PBS, Discovery). Two projects, "The Search for Solutions" and "All About Looking" (with artist Jim Dine) have been released theatrically in New York City. ©2013 Eurus Productions, Inc.. All rights Reserved. Web site designed by Redhare.